Walt Disney World has announced Disney’s Hollywood Studios will present “The Music of Pixar Live! – A Symphony of Characters” starting May 26, 2017. 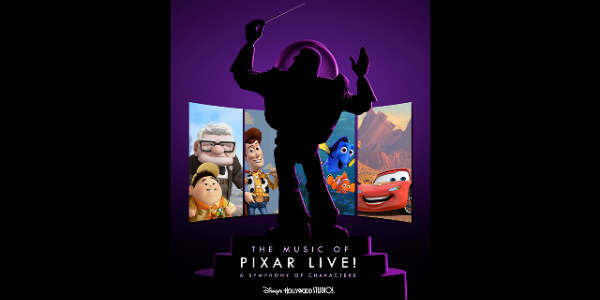 This limited-time event will showcase music from Pixar Animation Studios films, like Toy Story, Monsters Inc., Finding Nemo, and Cars, complete with a live orchestra. There will also be appearances by beloved Disney•Pixar characters such as Toy Story‘s Woody and Jessie, Monsters Inc.’s Mike and Sulley, The Incredibles, and many more. The show will be performed three times nightly at the Theater of the Stars, following the regular daily performances of “Beauty and the Beast – Live on Stage.” There is no word on an end date, but my guess is it will be performed at least through Labor Day weekend. I like this idea of an added nighttime show to entertain families after dark at the park this summer. What do you think? Is this a show you would see?